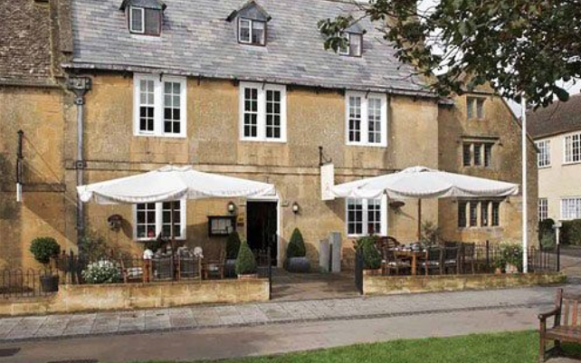 Located in the picture-book village of Broadway (described in some circles as "the jewel of the Cotswolds"), this self-styled "restaurant with rooms" may play down its status as a hotel, but it only serves to highlight the high quality of the food it offers. 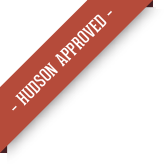 The kitchen at Russell's is certainly a jewel, serving up some of the finest fare in the Cotswolds. Eat: Perhaps the “restaurant with rooms” description is aimed at emphasising the food, which is not surprisingly, award-winning, as well as local wherever possible. The Cotswolds are a bulging food basket of fabulous produce, from meats and game to pickles, chutneys, cheeses from local dairies and some of the finest vegetables in the UK, including the famous Vale of Evesham asparagus. Expect mouth-watering local fare as well as spanking fresh fish from further afield, such as seared Cornish scallops and sea bass with grilled fennel. There's also a fantastic fillet of 28-day, dry- aged Scotch beef, which was an award-winner in itself. Sleep: The rooms are superb, all luxury bedlinen, air conditioning, flat screen TVs and natural stone bathrooms. Most are housed within ancient stone walls and have gnarled feature beams. Two of the ground floor rooms are available to dog owners, although nothing is supplied so bring your own bowl and basket. Dogs stay for free though, which makes a nice change. Walk: Head to Broadway Tower which is surrounded by fields and hills and public footpaths. The National Trail, Cotswold Way also passes through Broadway either heading back to Chipping Campden or onto Winchcombe, seven miles away. A nice approach is to catch a taxi to Winchcombe then walk back along the trail.